Oh no they didn't, oh yes they did. 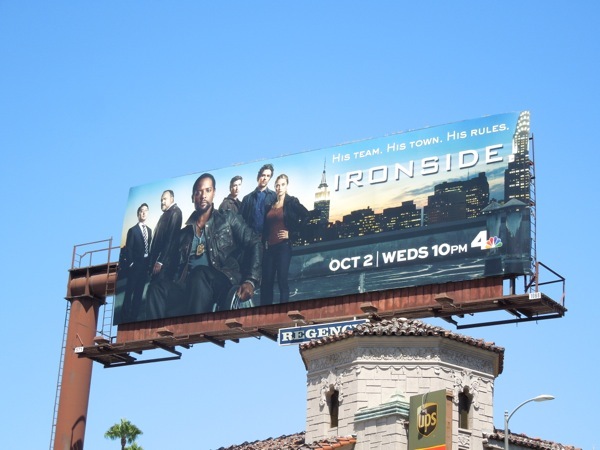 NBC have dug into their TV vaults and decided to bring back Ironside to television for a new generation. 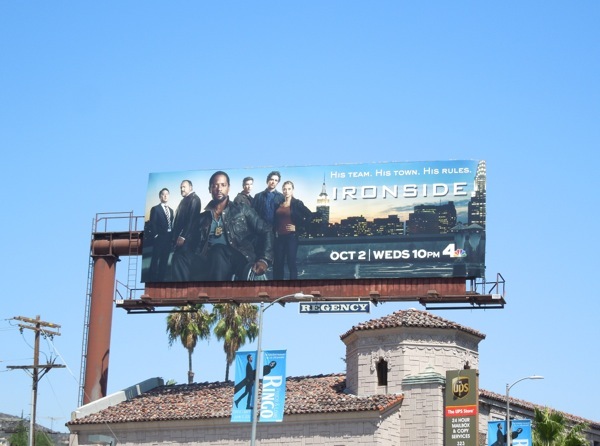 The crime drama first starred Raymond Burr as the tough paraplegic Detective 'Robert T. Ironside' for eight seasons from 1967 to 1975, and now there's a new detective in the wheelchair in the form of Blair Underwood. 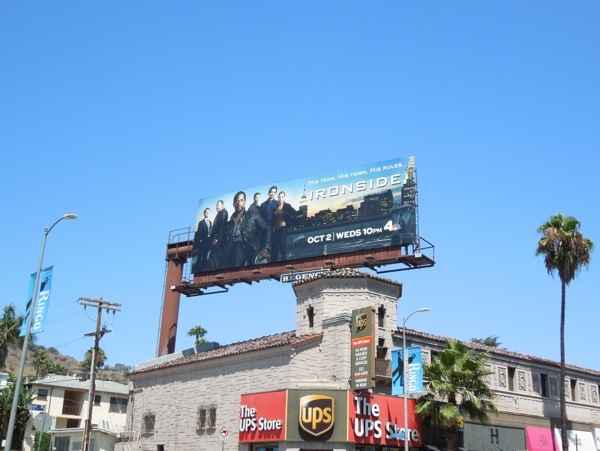 Obviously hoping to tick all the diversity boxes for their gritty new cop drama, the 2013 reboot is not only bringing back a show with a lead who's disabled, but also a handsome black actor, who you may remember played 'President Elias Martinez' in NBC's failed sci-fi drama series, The Event. 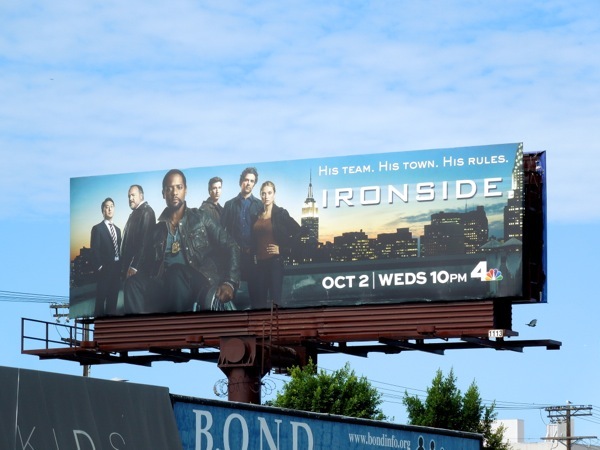 Another departure from the original series is that the new Ironside is set in New York City rather than San Francisco (and actually filmed in Los Angeles), which is a shame as with so many procedural cop shows based in NYC it would have been nice to have a show set in the City by the Bay as a point of difference. 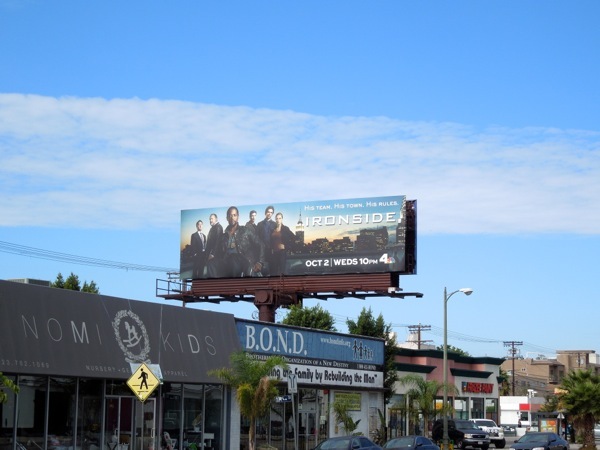 The Ironside series premiere billboard was first spotted along Sunset Boulevard on August 21 (then mysteriously taken down the next day), then next spied along Pico Boulevard on August 31, 2013. Let's wait and see whether his new crack team of specialists, his new city and his new look will be as popular as the original.